In the last half of 1861, Confederate Brigadier General Henry Hopkins Sibley, a West Point graduate and former major in the U.S. Army, raised a force of Texas volunteers to invade New Mexico Territory. His objectives were to capture military supplies from Union forts in New Mexico and to recruit New Mexicans, Utah Mormons, and Colorado miners to the Confederate cause. The mineral wealth of the West, it was thought, would enrich the Confederacy. And, if the California ports of San Diego and Los Angeles could be taken, the South would have access to international trade, which was severely restricted by the Union blockade of the Confederacy’s Atlantic ports. Col. Edward R.S. Canby, also a West Point graduate and Union commander of the Department of New Mexico, learned of the invasion plans and convinced the governors of New Mexico and Colorado to organize companies of volunteers to augment his 2,5oo Federal troops. By early 1862, Canby had a combined 4,000 troops available at Fort Union and Fort Craig to confront the invading, 3,000-man-strong Rebel force, which was moving up the Rio Grande attacking Union forts. Canby’s and Sibley’s forces first clashed on February 21st, 1862, near Fort Craig, 100 miles south of Albuquerque. In what is known as the Battle of Valverde, Confederates triumphed, forcing Canby’s forces to withdraw to the safety of the fort. But, in the course of the battle, half of the Confederate supplies were destroyed – a crucial event since the loss of their remaining supplies in the later Battle of Glorieta would be instrumental in Sibley’s decision to retreat to Texas. Flushed with the victory at Valverde, Sibley moved northward, first occupying Albuquerque, then, on March 10, Confederates took Santa Fe. A little over a week later, Rebel forces began moving eastward along the Santa Fe Trail with the objective of capturing Fort Union, northeast of Pecos, On March 25th, 1862, Confederate and Union forces were, unbeknownst to each other, camped on opposite sides of Glorieta Pass, where the Santa Fe Trail narrows as it winds through a low point in the Sangre de Cristo Mountains. Troops were sent ahead by both sides to detect enemy forces. These “pickets” would soon discover the other’s forces. 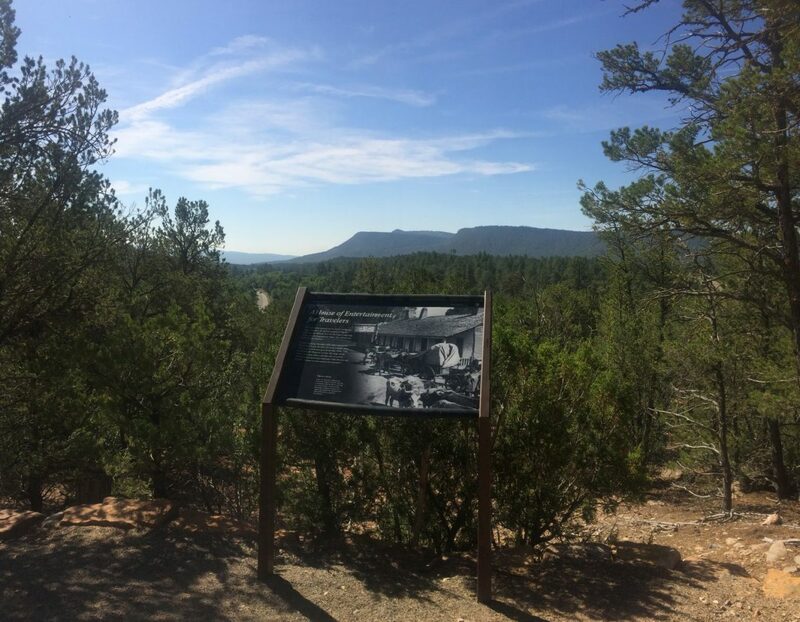 Over the next three days, Union and Confederate troops were engaged in artillery duels, sharpshooting, and fighting at close range that comprised the Battle of Glorieta. Though Sibley’s Confederate forces pressed Canby’s troops into a series of tactical withdrawals, the Union forces forced the Texans to quit the Pigeon’s Ranch battlefield they had won and return to Santa Fe to resupply, thanks to a bold march over Glorieta Mesa led by Major John Chivington. Chivington’s men surprised the Confederate rear guard and destroyed their food and ammunition supplies at Johnson’s Ranch.